The military genius of Heinz Guderian remains admirable even today, for it was his tactics that brought Germany its swift victory over Europe in the first years of the war. Luckily for Allies, his ideas weren’t exploited nearly enough. 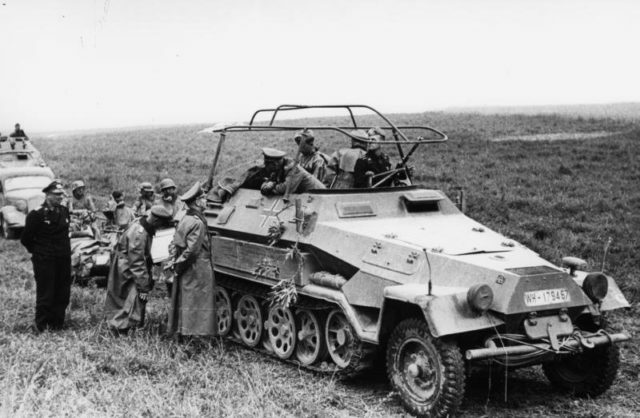 Guderian was one of the pioneers of armored warfare and among the first people who developed elaborate tactics for the use of tanks and motorized infantry in combat ― which was what Blitzkrieg was all about. This tank expert started his military career in 1907. In 1914, Guderian served as a Signals Officer in the 5th Cavalry Division. By the end of the war he was appointed to the General Staff Corps, where he hoped to practice his strategic skills, but the war ended sooner than he hoped it would. A veteran of WWI, Guderian strongly believed the war could’ve been continued, and perhaps even won. He considered the armistice of 1918 as a betrayal of the Army by the government and the people. Hitler exploited this myth, backing it up with the fact that the German Army left the front undefeated. Meanwhile, Guderian was one of the 4,000 German officers who were selected to continue their service in the army of the Weimar Republic, the successor of the German Empire which collapsed after the war. The German Army was reorganized under the guidance of the WWI peace treaty signed in Versaille, with the intention of neutralizing any future attempts that could lead to a war in Europe. These were troublesome times, and Guderian found himself faced with responsibilities of keeping the fragile peace within his country, as Germany was on the verge of a civil war between different political factions (one of them including the NSDAP, the Nazi Party). He was assigned to head east, and coordinate the Freikorps on the border with Poland, while the Russian Civil War was threating to spill into the rest of Europe. The Freikorps were a paramilitary, consisted mainly of WWI veterans, and were known for their brutal suppression of riots and revolutions in Germany during the years immediately after the Treaty of Versaille. Guderian became a trusted officer and was a member of the Troop Office, a clandestine officer’s organization which looked to overcome the decisions of the Versaille treaty by restoring Germany its military might. He was soon very well acquainted with the development of tanks and armored vehicles. Guderian became especially interested in this field, as he studied and compared the leading tank industries in Europe and the Soviet Union. Since he was fluent in both English and French, he read the works of British maneuver warfare theorists J. F. C. Fuller, Giffard Martel, General Percy Hobart and B.H. Liddell Hart. In the following years, he rose up the ranks, earning a General star in 1936. Due to his knowledge on the subject, he was given command over the XVI Army Corps of the Wehrmacht. At the same time, Guderian wrote his first book, titled Achtung – Panzer (Attention – Tank) which proved pivotal in the future development of panzer tactics, especially in the early stages of WWII. In the book, the author discusses the importance of armored warfare and the extinction of the static trench war that defined WWI. He notes that the Allied superiority in both tanks and aircraft were instrumental in their victory and calls for a radical adoption of this technology. Guderian explored the possibilities of a combined warfare which utilized the use of tanks supported by motorized infantry and airplanes. Even though he wrote several other books during his life, Achtung – Panzer remains most influential. Through this book, he shaped the German Panzer divisions and the tactics they used. For instance, he insisted on forming tank divisions separate from infantry. This sounds natural today, but back in the 1930s, tanks were seen as vehicles that were suppose to support the infantry attack, not the other way around. Guderian advocated the idea that tanks in large numbers lead the charge, while infantry, transported by trucks and half-tracks, followed. Aircraft and artillery supported both listed elements from above and from behind, respectively. He also developed far better means of communication, connecting tanks via radio transmitters for coordinated joint action. This way, the tank commander had better communication with other tanks, but also with his own crew, which was encouraged to work as a team, each of them knowing their part and executing it perfectly. 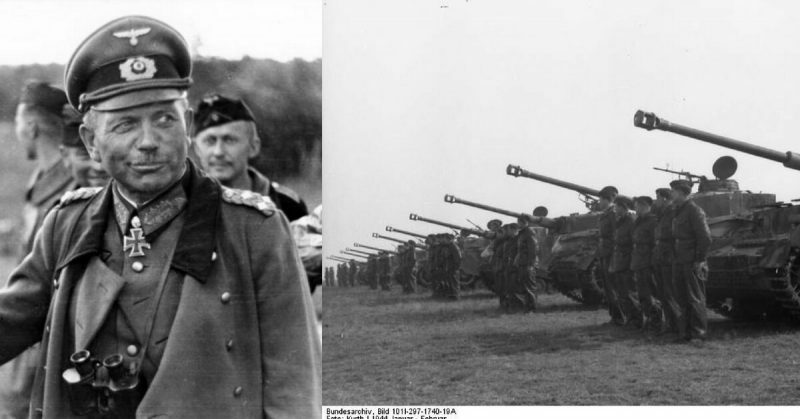 Guderian’s tactics were first used during the invasion of Poland in 1939. It looked unstoppable. Germans proved to be terrifying adversaries, penetrating the frontlines with the accuracy of a perfectly developed mechanism. He himself lead the XIX Corps, which was comprised of a panzer division and two motorized infantry divisions. He treated the panzer divisions as cavalry, using them to break the defense lines and rout the enemy. He was met with same success in France, where he personally led one of the decisive battles at Sedan, breaking the line that led to the general collapse of French defense. He was advancing so quickly that he got the opportunity to annihilate the Allies retreating at Dunkirk. The high command ordered him not to engage, as the British and the French were allowed to retreat across the English Channel. After France, Guderian was trusted to lead the Blitzkrieg on Russia. The initial advance of German troops deep into the Soviet territory was partially due to his courage and intelligence. 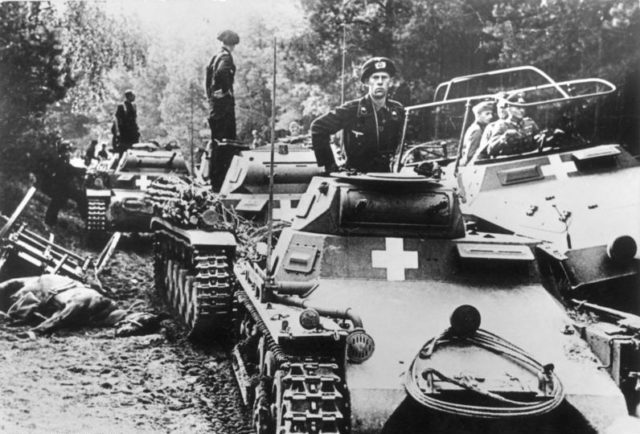 By this time, Guderian was protesting the decisions of his commanding officers, such as the order to encircle the Soviet forces at Moscow by going south instead of spearheading their defense line. In the Barbarossa campaign, he became the recipient of the Knight’s Cross of the Iron Cross with Oak Leaves. During this time, he couldn’t stand the mistakes of the General Staff anymore. This led to a series of stand-offs with Hitler himself, who assumed de-facto control over the Army. Guderian was among rare people who could have doubted Hitler’s orders and get away with it. This only made his reputation grow. There were several controversial disputes with Hitler, most notable being the one in 1945 that concerned the losses at Kustrin, during the Battle of the Oder–Neisse, when the Red Army was already advancing steadily towards Berlin. Guderian was dismissed after he engaged in a shouting match with Hitler. 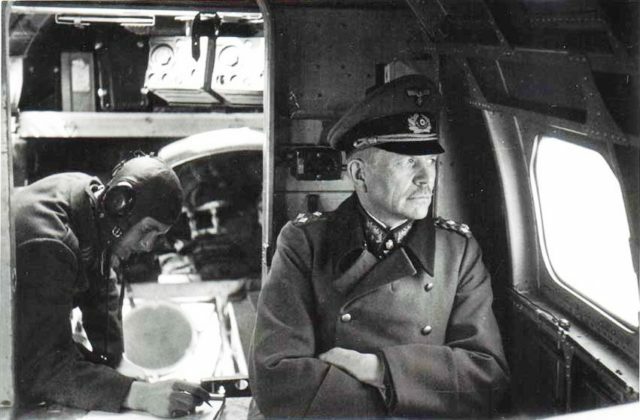 Even though Guderian was louder, he was relieved from his duties. He survived the war and surrendered to the Allies. He was released from prison in 1948, free of charges. After the war, Guderian was often invited to attend meetings of British veterans’ groups, where he analyzed past battles with his old foes. His expertise was once again needed during 1950 when he participated in the reestablishment of the West German Army, the Bundeswehr.